Get your Space Pirate Minifigs in *competition time*! So our good friend Cbla member has organized a Lego space pirate building competition, with two catagories: Ships and Minifigs. 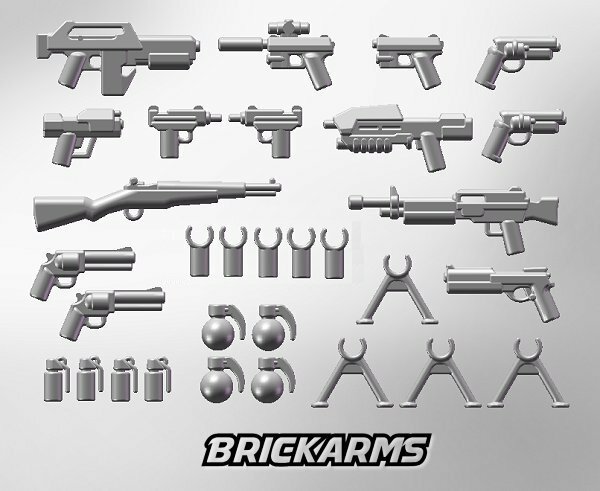 Naturally, custom minifig, will be sponsoring the Minifig catagory, the prize, is going to be the limited edition Brickarms Limited Edition Silver Weapons pack and we’ll be interviewing the top three winners of this catagory for the custom minifig blog, get your name out there and let all the movers and shakers know how good you are. make a custom space pirate minifig whether you do some cutting gluing and painting or just find the perfect combination of TLG elements creativity is the key. Only one entry per person in the Custom Minifig category. Tagged brick arms, building, competition, custom, Lego, minifig, Pirate, prize, space	| Comments Off on Get your Space Pirate Minifigs in *competition time*!